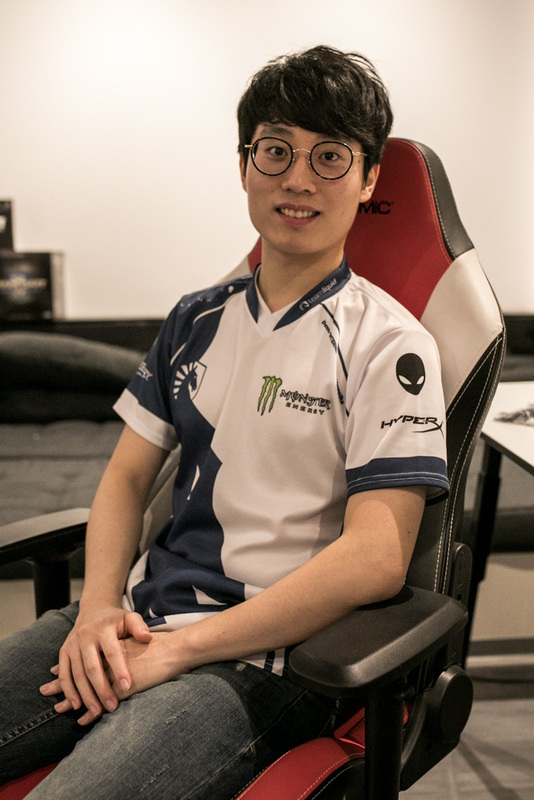 TaeJa at HSC: "My goal is to win a GSL next year"
Our editor in chief, Olli, sat down with Team Liquid’s very own TaeJa at HomeStory Cup XVIII to catch up with him on returning to professional StarCraft II and Team Liquid, the new balance patch, and his plans going into 2019. Special thanks to Hajinsun who sacrificed even more of her already strained voice to translate TaeJa’s answers! Olli: HomeStory Cup XVIII was your first big tournament since coming back to the international stage. How do you feel about your performance, and what were your expectations going into the tournament? TaeJa: Coming into this tournament, my goal was to reach the Round of 8 and I did that, so I am pretty happy about that, but I am still a bit disappointed to have lost. But since this is my first tournament after coming back from military service, I am satisfied with my performance at this HomeStory Cup overall. Olli: How high would you say your skill is right now? For example, you played Serral in the Winners' Bracket, how far do you think you’re away from him and the very, very top right now? TaeJa: It is true that right now there is a gap between me and the top players. I ended my military service on the ninth of August, so it’s been a little bit over three months that I have been practicing again. But I think by next year I am going to be back to my performance from before and be among the top players. Olli: A lot of people are surprised by how quickly you’ve gone back to a very good level. How have you been practicing these last three months? Have you changed anything about your practice compared to before your military service, or do you still practice the same way? TaeJa: I practice like before, although you know there has been this new big balance patch so I couldn’t really practice on the ladder like I usually do. But we have a really close group of friends with PartinG, Patience, FanTaSy, and me and we practice together, and that’s why I think I am doing well in this new patch. Olli: Speaking of the new patch, where do you see the strengths of Terran right now? Because a lot of people in this tournament are saying Terran is pretty good right now, do you think that’s true? Olli: You can balance whine all you like, that’s completely fine! TaeJa: Actually I think overall Terran has been nerfed, like the cyclones aren’t as good as before. Olli: Do you think it’s an advantage for you that a lot of other players have still been playing the old patch because they were competing at BlizzCon, while you’ve had time to practice the new patch? TaeJa: I don’t think that I had a particular advantage, I just practiced like the other players. Olli: Who would you say are players whose skill you want to rival, like the best players of every race? And what do you have to do to reach their level now? TaeJa: I’ll have to work really hard and I’ll really have to understand the game again. The best Terran I think is INnoVation, the best Zerg of course is Serral, there is no discussion about that, and for Protoss it’s either Zest or Stats. Olli: Were you surprised that Team Liquid came to recruit you again? They hadn’t picked up a StarCraft II player in a long time. TaeJa: Actually, I am the one who messaged Victor (E/N: Nazgul) in July, so near the end of my military service, and he asked me ‘will you be a casual player, or will you play competitively?’ and of course I said ‘competitively’ and that my goal was to win a GSL next year. Then he put me in contact with Dario (E/N: TLO, now SCII team manager at Team Liquid) and we discussed everything. Olli: So you will definitely stay in Korea next year? You haven’t thought about maybe going to Europe or America to play in WCS at all? TaeJa: There hasn’t been any official announcement from Blizzard yet about WCS, but so far I think I am just going to stay in Korea. Olli: From a personal standpoint, what does it mean to you to play for Team Liquid again? 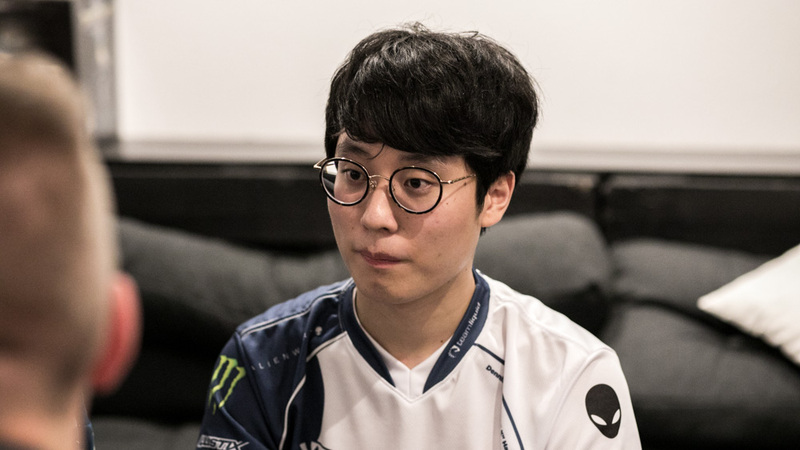 TaeJa: Team Liquid changed a lot from what it used to be before, because now it’s a really big company that’s well organized, so I think I’ll have to work really hard to bring them very good results. I like this interview. He's got a goal, he's got means to achieve that goal and the answers seem to be just matter of fact. Excellent. I was hoping he'd get an interview even though he didn't win HSC as I would say his series against Serral was the best part of the tournament. I modestly thought he'd only take one game but he came very close to beating Serral 3-1. His progress is looking good so in about 2 seasons we might just see the day of Taeja holding a GSL trophy. At the moment, by recent results, possibly yes. Inno went 4-3 against Serral in the HSC18 finals, the most recent big tournament with high level Koreans and Serral. Inno also made the finals of both WESG Korea qualifiers, winning the second one. By results, Inno has the best Terran result since Blizzcon. We've not seen Maru play at all since his Blizzcon fumble. Why would INno be better than Maru lol. INno at HSC was good but not close to Maru from the 2018 GSLs (or INno from 2017). But Maru hasn't played in the last month and some people make that a requirement to be ranked highly. All I know is Innovation is not as good as Maru from earlier this year. Maybe in better form right now if Maru is out of shape. If Maru didn't bop out to $O$ at Blizzcon then he would be consideredthe best Terran player. To get back on topic, Taeja fighting! So happy the pirate Terran is back! INno has really showed good games recently, so I don't think it's completely unreasonable to say he's the best Terran right now, but I guess GSL will show Maru's form again. There's actually a possibility for 4 GSLs in a row for him, but everyone kind of forgot him after getting smacked by sOs at BlizzCon. At the same time I'm excited for TaeJa to show a good performance in GSL 2019, the man looked really good at HSC. Taeja looked in great form at HSC. The Taeja-Serral games were superb. I’m looking forward to deep runs in tourneys and another Summer of Taeja. I'm champing at the bit to see him in GSL next year, and hopefully FanTaSy too although I'm not sure if he will be part of the WCS circuit instead. Were I NoRegreT, I'd offer to eat a shoe if Taeja would win a GSL. Never going to happen.